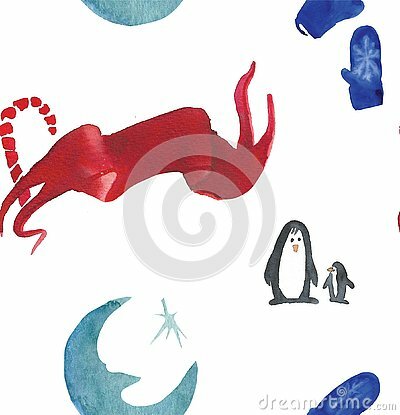 Christmas Watercolor beautiful seamless pattern with penguins, candy, moon and mittens. Happy New Year copy. Holidays decorative prints for textile, paper, cards etc. Vector hand drawn Berries raspberries branch hand drawn illustration on white background. Lollipops, round candy and heart-shaped.